You heard it here first: Students can learn about drones and even become certified drone pilots at the Geotechnology Institute at Brookhaven as part of the unmanned aircraft systems (UAS) remote pilot certification workshop. When is the Drone and GIS Workshop? Students can take a class on unmanned aircraft systems and how they relate to geographic information systems 8:30 a.m.-4:30 p.m. Oct. 19-21, Dec. 14-16, Feb. 15-17 or April 26-28. Tuition for the class is $275 and lunch will be provided. Students can register online by visiting eConnect and visiting the register for CE/WT Classes page on the CE/WT student menu, or by calling 972-860-4715. To find the class on eConnect, search for science (SIEZ) course number 1000 and section number 21216, 22213, 22214 or 23213. When is the Remote Pilot Certificate Preparation Class? The class takes place over three days from 8:30 a.m.-4:30 p.m. Sept. 21-23, Nov. 16-18, Jan. 25-27, March 8-10 or May 17-19. Tuition for the class is $299 and course materials. Students can register online by visiting eConnect and visiting the register for CE/WT Classes page on the CE/WT student menu, or by calling 972-860-4715. To find the class on eConnect, search for science (SIEZ) course number 1000 and section number 21214, 21215, 22215, 23214 or 23215. 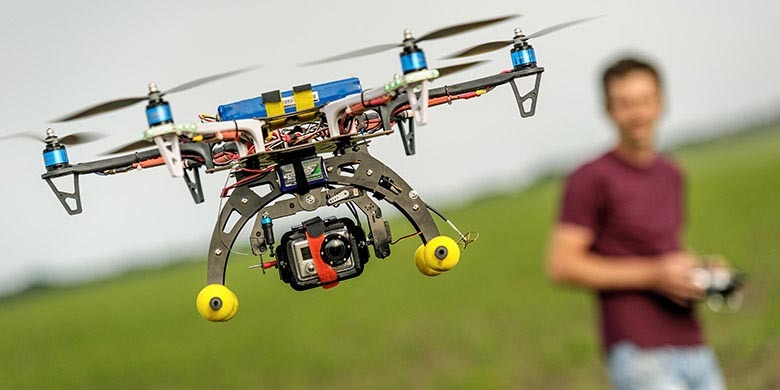 Upon successful completion of the course, students will have learned to be safe, knowledgeable drone operators and be able to take the FAA written exam for the remote pilot certificate. Not Interested in Becoming a Commercial Drone Pilot? No Problem! Hobby and recreational drone operators are also welcome to register for this course. You never know… a UAS remote pilot certificate might come in handy one day! Additionally, according to current FAA regulations, you’ll need the certificate in order to operate a drone at your place of employment, even if it’s just for one flight. Note: Licensed or not, drones must be registered with the FAA. Visit the FAA website for details on drone registration requirements. Interested in learning more about the Geotechnology Institute? Visit the Geographic Information Systems program page on our website. Course Title – UAS Remote Pilot Cert. Prep. This is great information, thanks for sharing! I will share this with students in career counselling. Thank you, Kinley! Thanks for sharing! Please let us know if you need anything. Thanks for reaching out! Here is how you can sign up for the Feb. class. You can register online by visiting eConnect and visiting the register for CE/WT Classes page on the CE/WT student menu, or by calling 972-860-4715. To find the class on eConnect, search for science (SIEZ) course number 1000 and section number 21216, 22213, 22214 or 23213. Information stated in points is particularly easy to understand and it seems that it comes from valid sources. Thanks for this blog and looking forward to similar posts in the future.